I haven’t been to a midnight movie since Rocky Horror Picture many years ago. But I went to the Lakewood 15 to and took several awful photos. The movie was, of course, Harry Potter and the Deathly Hollows and it was terrific. 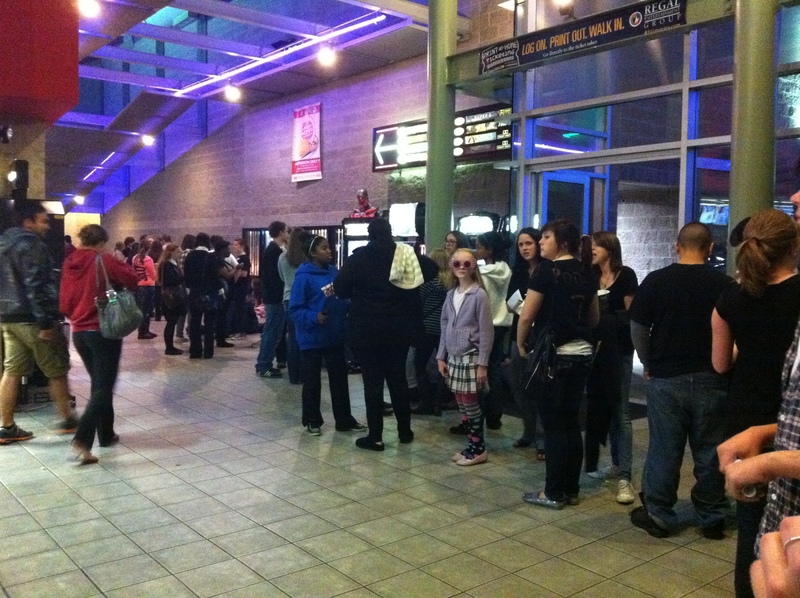 All of the theaters were devoted to the one movie and the place was rockin with most of the movie goers dressed up. This entry was posted in Community Space, Lakewood, Uncategorized, WA State - Pierce County and tagged 15, Harry Potter, Lakewood, midnight, movie on July 15, 2011 by admin.